Strengths: Like Sergei Zubov and Sergei Gonchar, Andrei Markov is one of the NHL’s premier powerplay quarterbacks. His hard shot and fast skating make him the top two-way defenseman on whatever team he plays. Weaknesses: Markov occasionally makes mistakes in his own end, especially against bigger players. The large amount of ice time he gets, up to half a game, can wear him out throughout the season. Biography: Andrei Markov was raised and learned hockey in Voskresensk – home of the legendary Khimik sports organization that also developed Igor Larionov and Vyacheslav Kozlov, among other NHL players. With Khimik, Andrei turned into one of Russia’s best young defensemen and also left a strong impression at the 1998 World Junior Championship, winning the silver medal. At the age of twenty, Markov was heavily relied upon by Moscow Dynamo and was recognized as the Russian League’s Defenseman of the Year in 1999. The next season was even better for Markov: he was named the MVP of the Superleague and his team Dynamo won the Russian championship. At this point, a jump to the NHL was the logical next step. 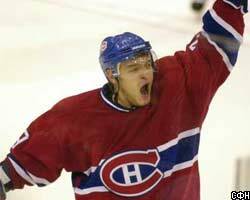 The Montreal Canadiens were fortunate to have “stolen” a future star like Markov in the sixth round of the 1998 NHL draft. 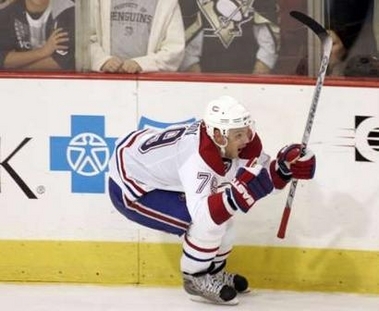 Although he spent parts of his first two years in North America playing for the Habs’ farm club, Markov developed into a top-tier blueliner capable of playing up to thirty minutes per game. Andrei’s return to Dynamo during the NHL lockout in 2004-05 helped the team’s fortunes in winning the Russian championship again. Once back in the NHL, Markov’s productivity increased each season, earning him two all-star game appearances (2008, 2009) and cementing his status as a fan favourite in Montreal. Markov has been a mainstay of the Russian national team at the World Championships, having won one gold and two bronze medals so far. 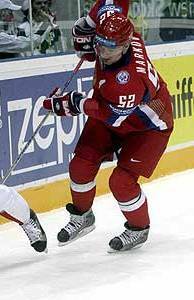 At the 2007 World Championships held in Moscow, Markov was named the Best Defenseman of the tournament. The last few NHL seasons have been unfortunate for Andrei, as he sat out a total of over 180 games due to various injuries. 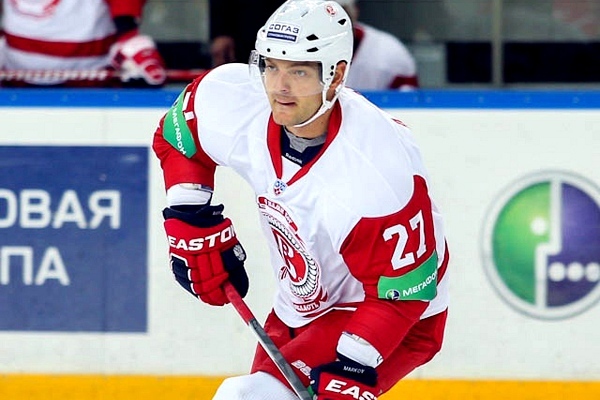 During the 2012-13 NHL lockout, Markov played for Vityaz Chekhov in Russia. Back in the NHL, he returned to his usual high-scoring pace for a defenseman and did not miss a single game.